This is Monty’s second guest recipe inspired by the Winter season. The first was the chocolate yule log with coconut cream, chocolate ganache, and fresh berries. 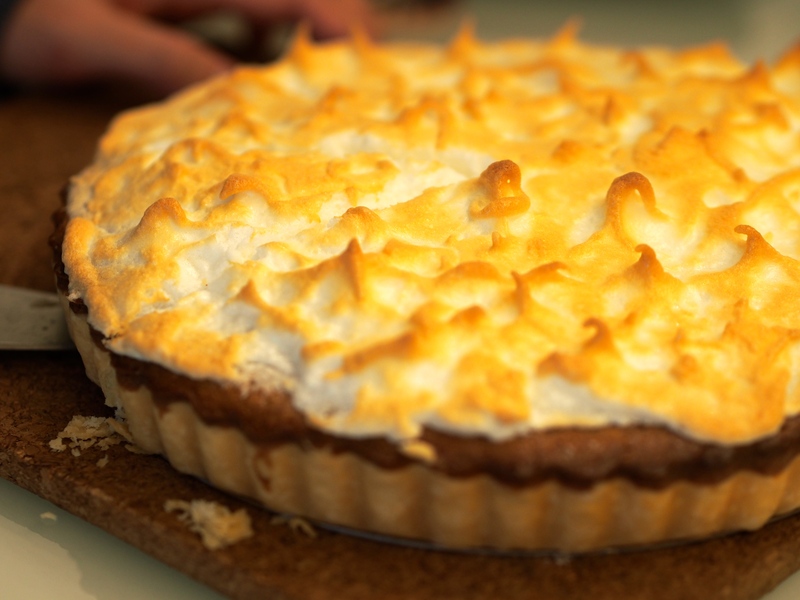 This second recipe is a rustic tart filled with freshly mashed sweet potatoes and a golden meringue topping. 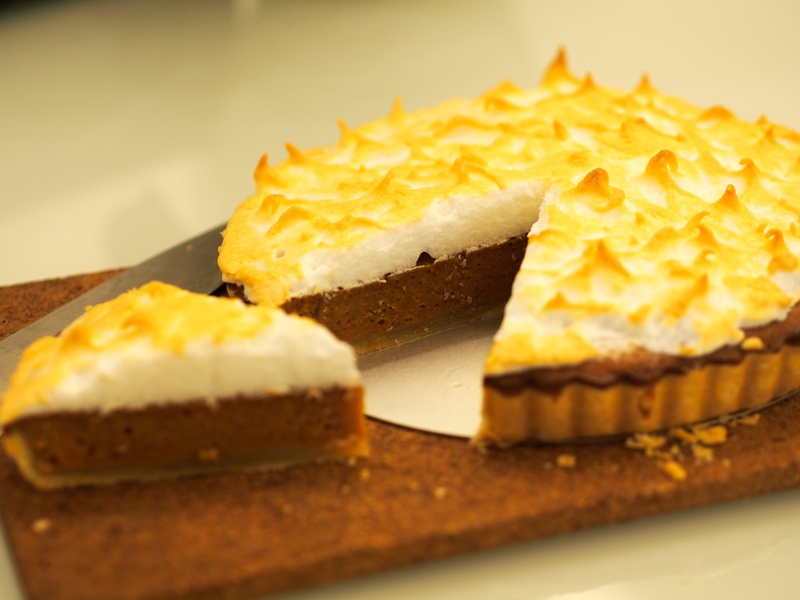 What we love about this sweet potato tart is that it has so many different textures; crunchiness of the tart crust, creaminess of the filling with random chunks of starchy sweet potato, and the slightly crusted meringue that just wraps the whole thing together. I love that all these ingredients are fresh and that the colours and flavours are so festive. Why not bring this to your next Winter or Chinese New Year gathering! Who wouldn’t love a soulful slice of warm sweet potato tart in this chilly season? 1. Place the 140 grams flour and salt in the bowl of a stand mixer fitted with the paddle attachment and mix to combine. With the mixer running on low speed, add the diced butter a small handful at a time. When all the butter has been added, increase the speed to medium and mix for about 1 minute, until the butter is thoroughly blended. Scrape down the sides and bottom of the bowl. Turn the speed to low, add the remaining 165 grams flour, and mix just to combine. Add the water and mix until incorporated. The dough will come up around the paddle and should feel smooth, not sticky, to the touch. 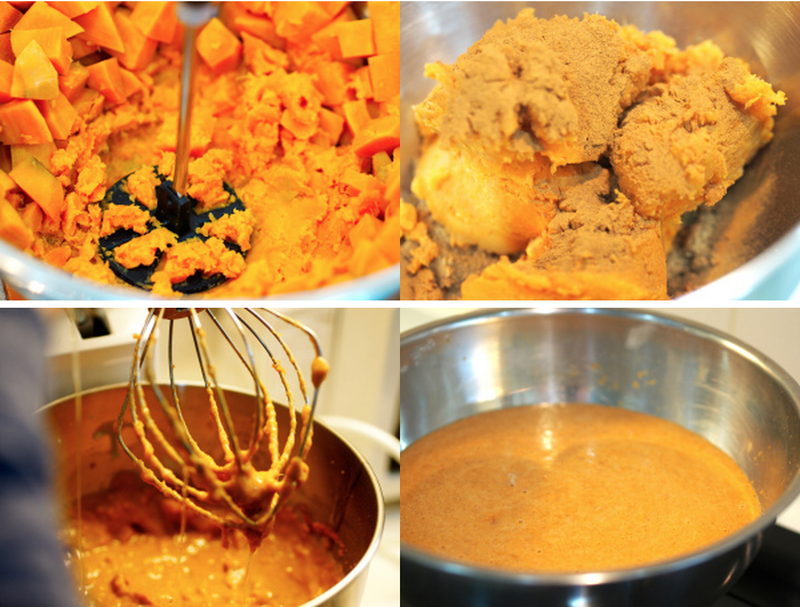 *We preferred to leave the sweet potatoes a bit chunky rather than completely pureed because this would give it extra texture. 4. Once chilled, take the dough out and roll into approximately half cm thickness. Mold into the tart pan. 5. Fill the tart with the sweet potato filling and bake for 30-45 minutes under 180C until a toothpick inserted comes out clean. 6. Whisk the egg whites until foamy, then gradually add in the sugar whilst continuing to whisk the egg whites until medium-firm peaks. Spread onto the tart and bake in the oven until golden brown.